Since 1994, CPaT has been offering industry-leading Computer-Based Training courses for the world’s most in-demand aircraft, with major companies such as Boeing , Airbus, ATR, Embraer, Fokker, and McDonnell Douglas among them. Each of these online aviation courses is designed to give you the tools needed to master your chosen aircraft, resulting in meeting all regulatory compliance measures. But beyond aircraft, we offer over a dozen training courses on general aviation subjects such as HAZMAT, ETOPS, and cold weather operations — all of which meet regulatory compliance. Over the years, many of CPaT’s distance learning courses and training programs have been selected for use by some of the world’s largest and most-established airline companies during their pilot training programs, not only making CPaT one of the most-trusted names in online aviation courses but also one of the most respected. If you’re curious about how CPaT’s truly unique computer-based training programs and distance courses can help with your training, continue reading below to learn more. As one of the world’s largest and most sought-after aircraft manufacturers, CPaT has developed numerous distance learning and computer-based training programs to fit the needs of those looking to master members of the Airbus fleet. We offer three distance learning courses for the Airbus family with specificity given to the Airbus A320 family, Airbus A330, and Airbus A340. Let’s take a look at some of the specifics of each. Designed for both initial and recurrent training for Airbus A320 aircraft family, this computer-based training programs offers trainees the option of custom-tailored training with A318/319/321 differences. By utilizing text, audio, graphics and animations, and level-three interactive training, your training with the Airbus A320 family is nothing short of the highest level of training available for this type rating. Crafted for those who are looking to begin or broaden their mastery of the Airbus 330, CPaT’s computer-based training program offers unparalleled training for this type rating. Like each of our other distance learning programs, the Airbus A320 online aviation course utilizes audio, texts, custom graphics, and level-three training to give you the most out of your 32 hours of training time. Much like the A320 Family training course, the Airbus A340 distance learning course is designed for those who desire to begin or further their mastery of the Airbus A340. With user-friendly computer-based learning systems, CPaT’s proprietary distance learning course utilizes text, audio, graphical animations, and level-three interactive training. Cockpit standards are offered in either imperial or metric, giving you more room for customization while completing your 32 hours of training. The Chicago-based behemoth is the most sought-after aircraft manufacturer in the world and, accordingly, CPaT offers computer-based distance learning courses for 12 type ratings. Each online pilot training course gives you the best and most up-to-date training components available. Take a look below to learn more about type rating-specific distance training courses. With custom audio, graphics, text, and level-three interactive training, the Boeing 737-200 computer-based training course gives you an unsurpassed type rating-specific training experience. This computer-based training program gives both beginners and more seasoned pilots the chance to further develop their proficiency of the program. With 32 hours of training in either imperial or metric cockpit standards, those who complete the Boeing 737-200 training course are well suited to pilot this aircraft. This computer-based training program was crafted for B737-CL including 300/400/500 models, giving you flexibility and customization for your online aviation training. Available with Non-EFIS/MAP (Round Dial) or EFIS/MAP and 300/500 to 400 air system differences, this aviation e-learning course utilizes the latest technology for text, audio, customized graphics and animations, and level-three training covering either imperial or metric cockpit standards. As with all of our distance learning courses, each course concludes with a knowledge assessment for a succinct evaluation of your mastery of the class. Designed as a systems knowledge computer-based training course for Boeing 737NG type rating, this online aviation course gives you the tools and understanding needed to master the Boeing 737 NG. With proprietary graphics, audio, text, interactive elements, and level-three interactive training, this distance learning course is well suited to give you the best in online aviation training. Available in either imperial or metric cockpit standards, this course is easily adjusted to fit your specific needs. One of our more specific online aviation courses, this Boeing 737 Cl to NG computer-based training course gives you the essential and in-depth knowledge needed to master the Boeing 737 CL to NG systems. Available in PFD/ND or EFIS/MAP and 700 to 900/900 air system differences, this user-friendly online training course brings you the best in aviation training. Each module features custom graphics and animation, text, audio, and level-three training, giving you unparalleled online aviation training. Part of our custom systems knowledge computer-based training program, the Boeing 737 NG to CL online aviation training program offers the best in distance learning. With custom audio, graphics, text, and level-three training, this course is sure to provide you the opportunity to master one of Boeing’s most popular aircraft. Cockpit standards are available in imperial or metric and the course culminates with a knowledge assessment to highlight your areas of mastery and areas for improvement. This craft is Boeing’s best-selling model in the 747 family. Accordingly, this Boeing 747-400 online aviation training course offers some of the most sought-after training and knowledge-building components, designed as a systems knowledge computer-based training course, complete with proprietary graphics and animation, text, audio, and level-three interactive training. Each module of the online training program culminates in a knowledge assessment for this specific Boeing type rating. With 32 hours of training time that meets regulatory compliance, this airline pilot training program, you can rest assured that you’ll receive top-level training when enrolled in this course. No computer-based commercial airline pilot training program would be complete without the implementation of custom audio, graphics and animation, text, and level-three interactive training. This unsurpassed Boeing 757 training approach presents trainees with type rating-specific information (in either metric or imperial) over 32 hours. Once each module is complete, you’ll then take part in a knowledge assessment that tests your understanding and application of training materials. Offering the best in Boeing 757 online pilot training, this computer-based training module utilizes a systems knowledge model designed for both initial and recurring training for Boeing 767-200/300 aircraft. As with all of CPaT’s online flight training programs, this course utilizes unique graphics, text, and audio supplements for level-three interactive training, giving you unparalleled training advantages that are sure to propel forward with the mastery of this aircraft. A knowledge assessment is prompted at the end of each module, testing your understanding and application of the aircraft’s systems. One of our most popular courses, this online aviation training program is designed to give you expert knowledge in Boeing 757 to 767 type ratings. Complete with proprietary text, audio, animation, and interactive components, this online pilot training course was crafted with the user in mind. Available in either imperial or metric cockpit standards, this online aviation course is sure to give you the level of understanding needed to operate these aircraft. As each module concludes with a knowledge assessment, you’ll be able to see and better understand your mastery or need for improvement. Commonly referred to as the “Triple Seven”, the Boeing 777 is the world’s largest twinjet aircraft. Understandably, this long-range aircraft is one of the most popular options for airlines that operate internationally. Our online pilot aviation course is complete with systems knowledge computer-based training and offers trainees the chance to gain familiarity and mastery through a custom text, graphics, audio, and level-three training. Following each module, a knowledge assessment is prompted for immediate understanding of your strengths and weaknesses within the program. The Boeing 787 Dreamliner is one of Boeing’s newest and most acclaimed aircraft. Accordingly, CPaT offers a systems knowledge computer-based training program tailored for mastering the intricacies of operating this Boeing behemoth. Perfect for both initial and recurrent training for Boeing 787-8 aircraft, our online aviation training is designed to offer interactive and user-friendly graphics, text, audio, animation, and level-three pilot training. Following each module, a knowledge assessment prompts you to test your understanding of the Boeing 787 system, either in metric or imperial, dependent upon which cockpit standards you chose. Much like our other Boeing family online aviation training courses, this Boeing 777 to 787 Differences computer-based training course offers online, user-friendly training that remains unfound in other CBT programs. With custom audio, text, graphics, animation, and level-three training, these online pilot training courses are sure to deliver the most sound training materials available. Each module’s training culminates in a knowledge assessment, testing your understanding and mastery of the course. Each program is available in either imperial or metric cockpit standards, giving you the option for further customization. CPaT has long understood the challenges associated with mastering specific types of aircraft. 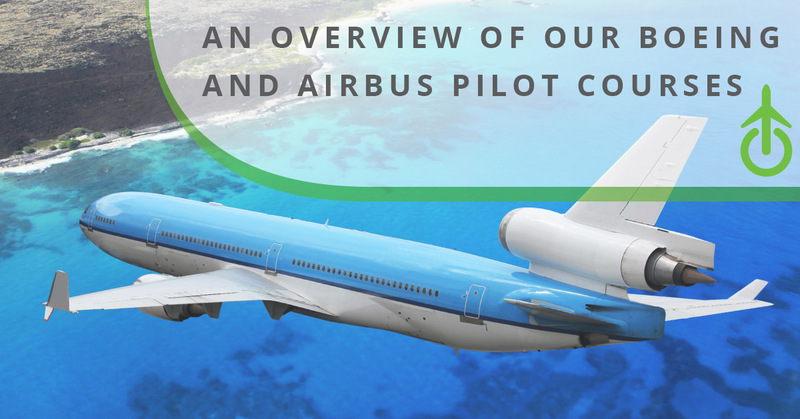 This inspired us to create the most user-friendly online aviation training materials to date. If you have any questions, concerns, or curiosities about any of the above-mentioned courses, don’t hesitate to get in touch with us today to learn more.